now be known as the Global 7500 aircraft. 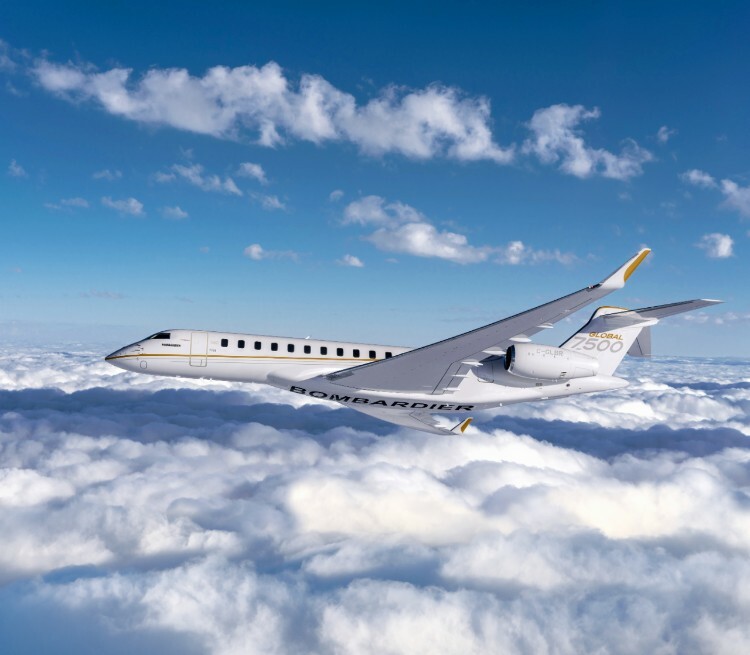 The Global 7500 program’s innovative and industry-leading ground testing, combined with the extensive use of proven engineering tools and simulation, allowed for a very mature aircraft at the start of flight testing and an efficient flight validation program. Full-scale structural testing of the aircraft was successfully concluded on the Complete Airframe Static Test (CAST). Full-scale fatigue testing is also executing per plan, and Bombardier has successfully completed one lifetime of simulated flights, which exceeds the requirements at time of certification. Upon entry into service, the Global 7500 aircraft will offer spaciousness that is unique among business jets, with a full-size kitchen and four true living spaces. The Global 7500 aircraft also debuts Bombardier’s patented Nuage seat, which was meticulously designed for maximum comfort and will be exclusive to the new Global family of aircraft. Bombardier’s Global 7500 aircraft is the recipient of a 2018 Red Dot Award for Product Design.